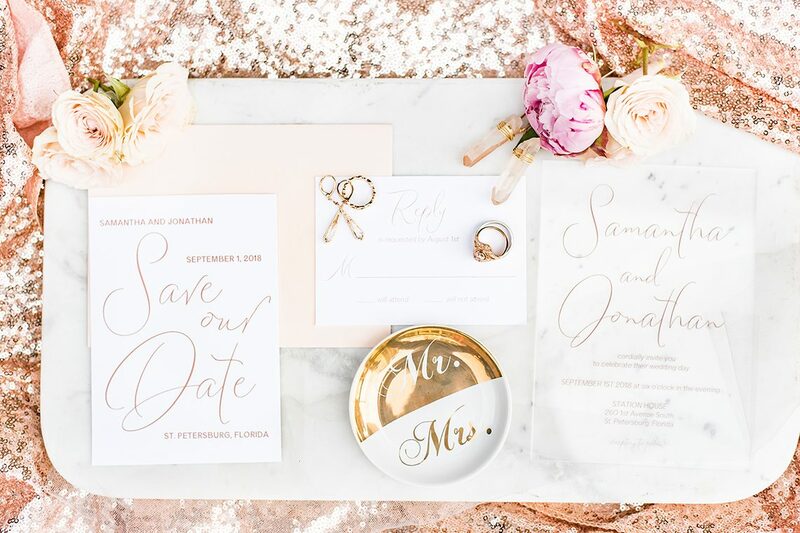 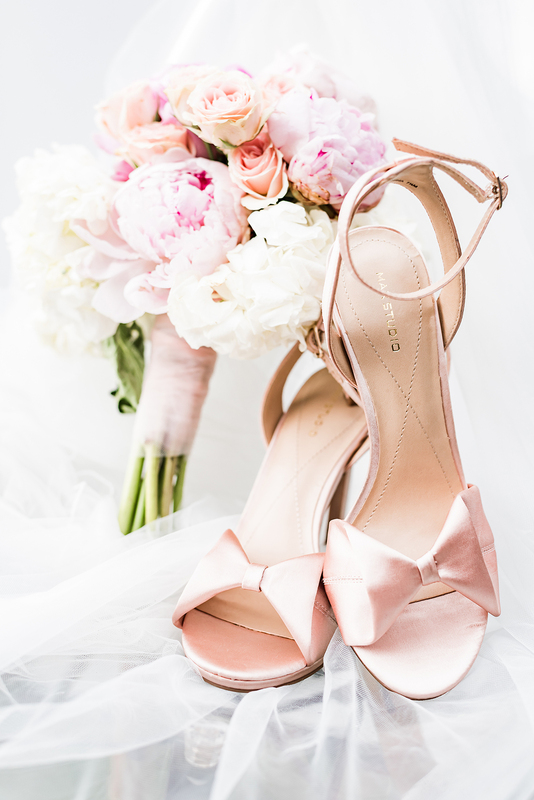 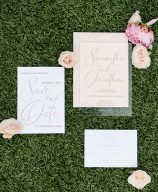 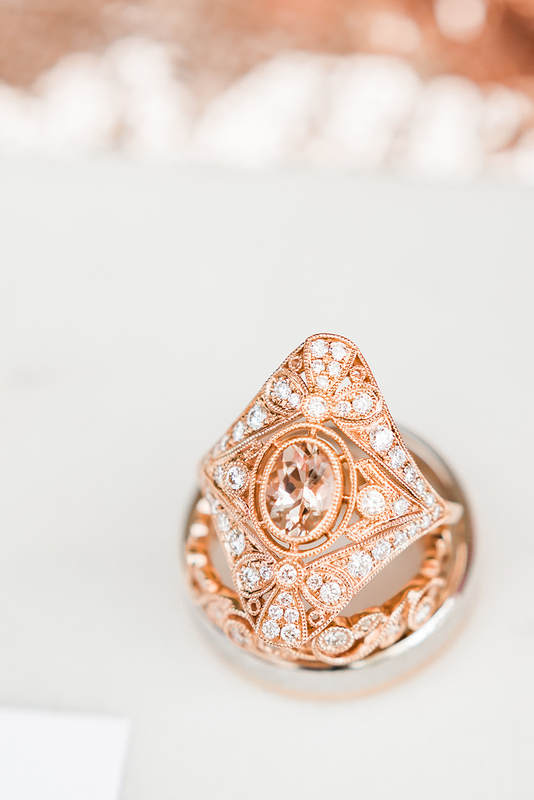 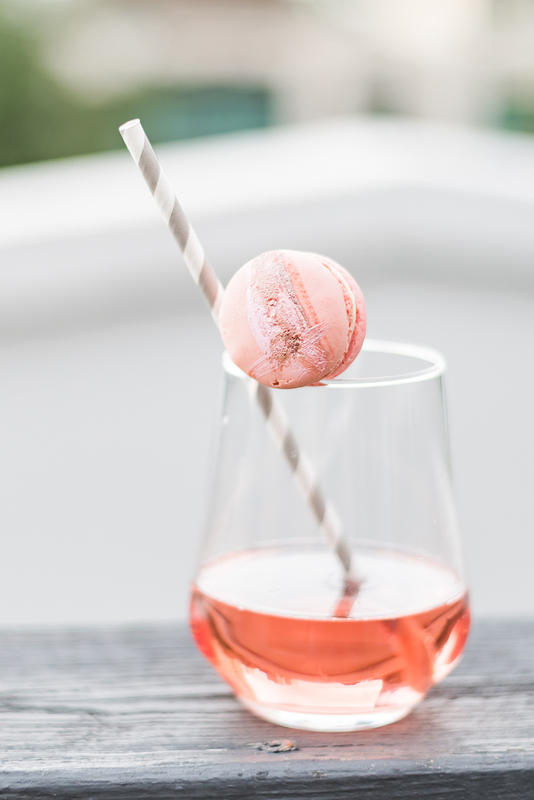 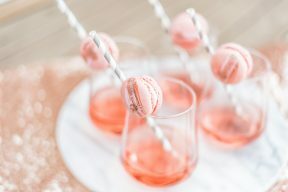 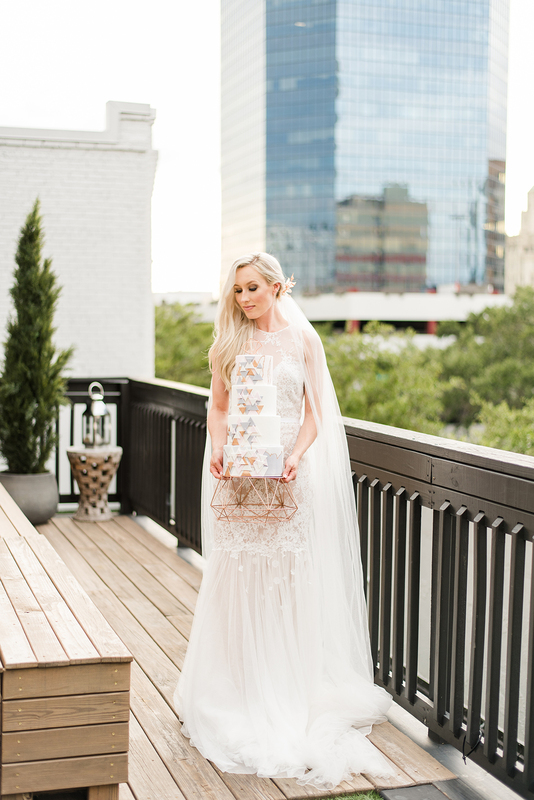 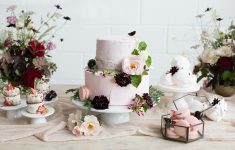 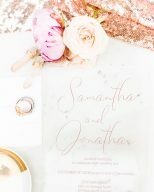 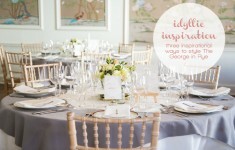 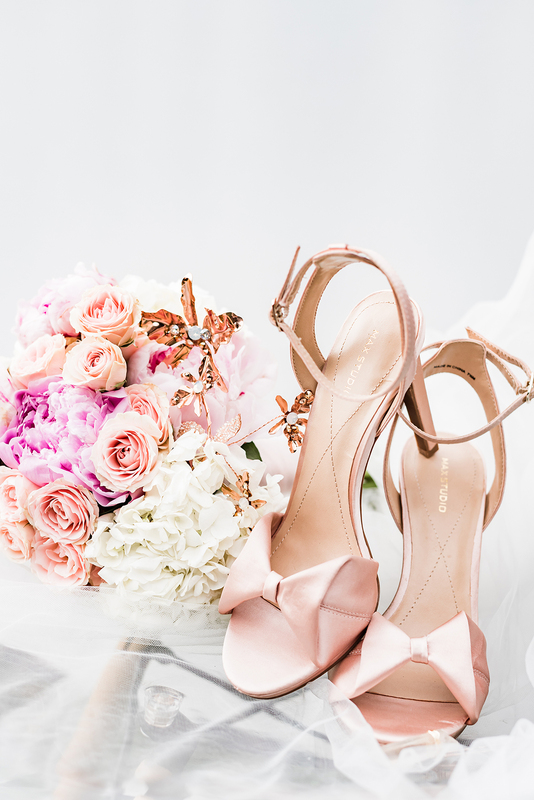 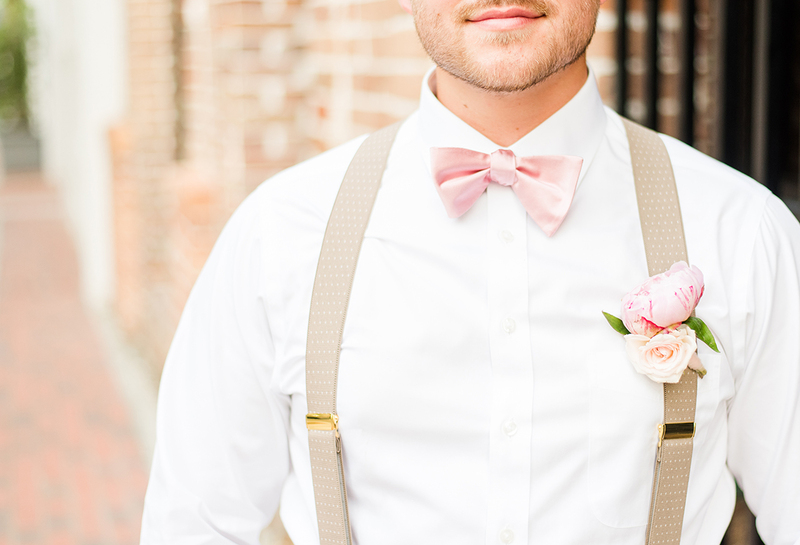 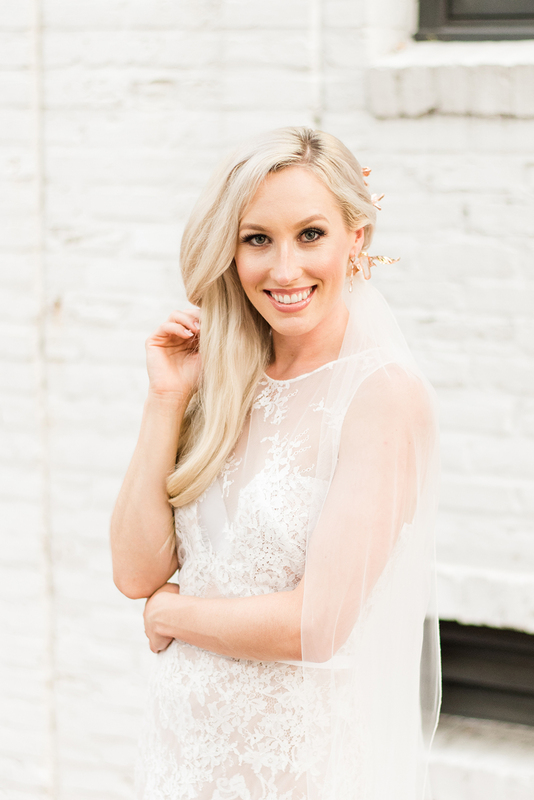 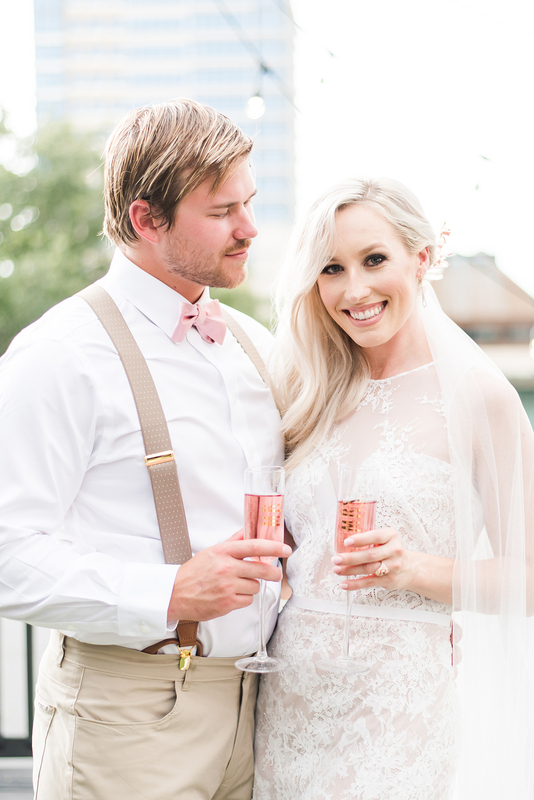 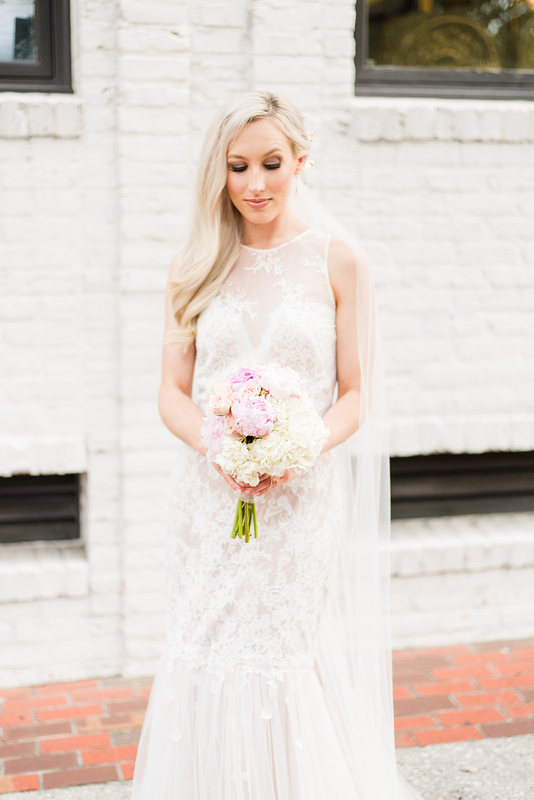 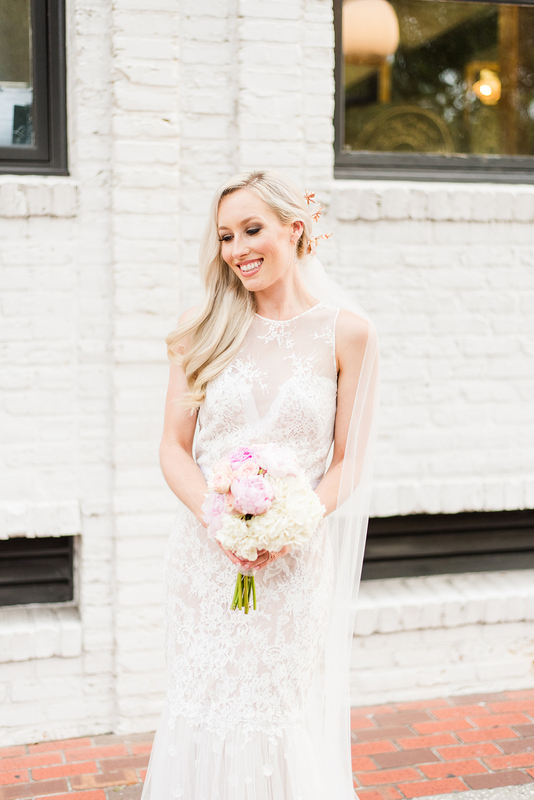 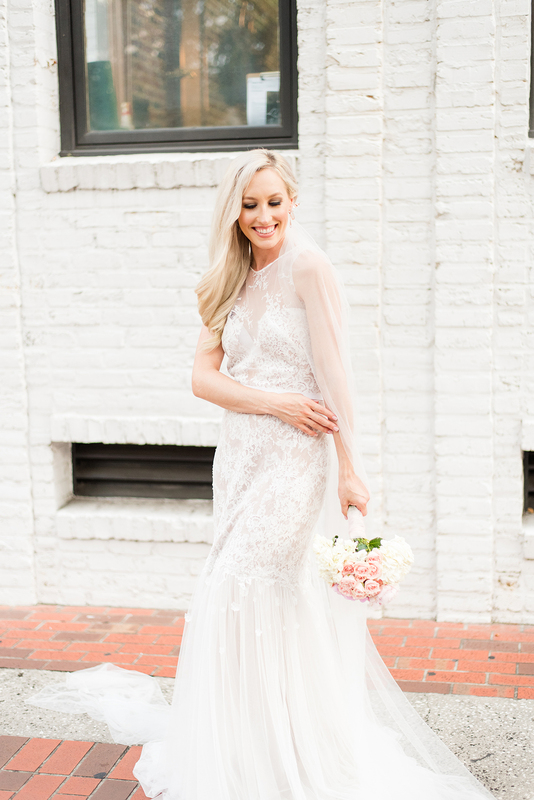 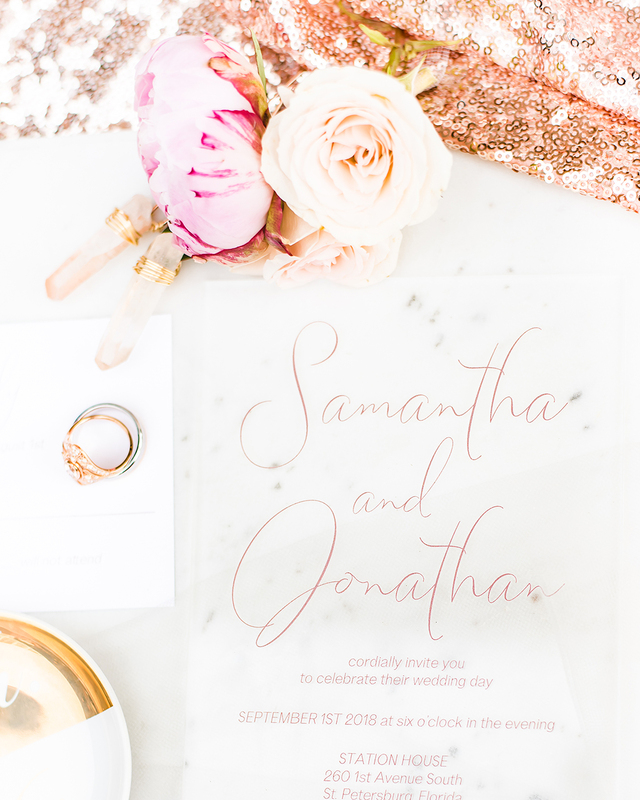 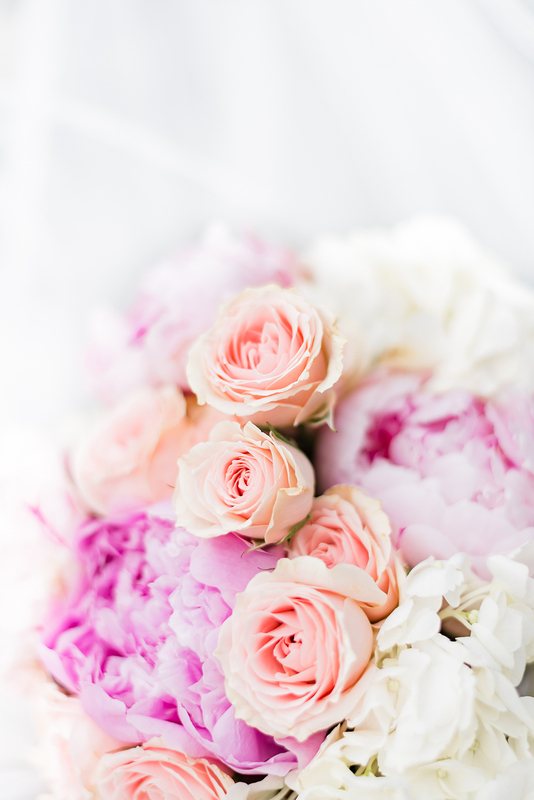 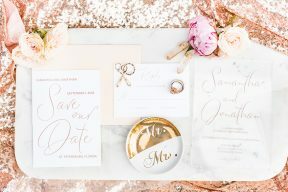 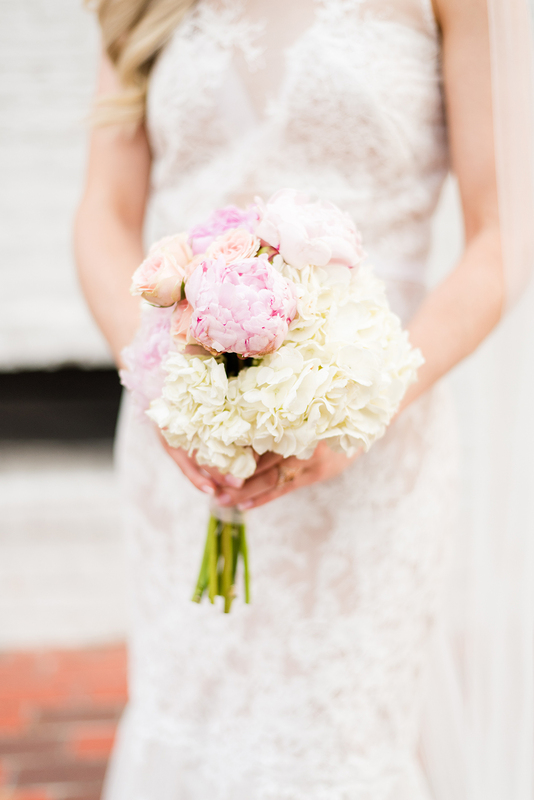 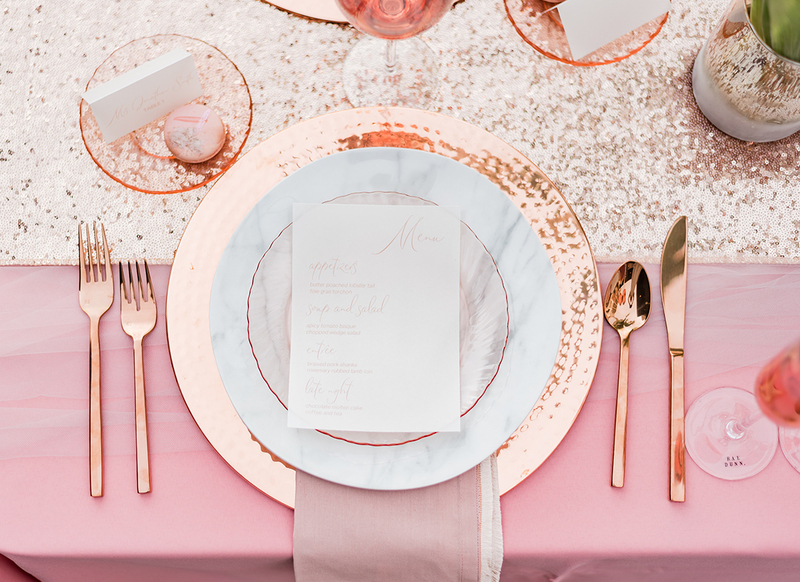 Chloe Dam Photography shares her ideas for a thoroughly modern wedding with a rose gold and pink colour palette! 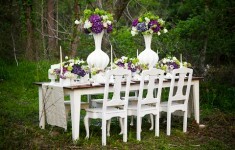 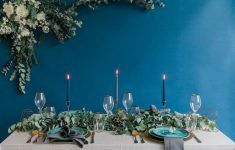 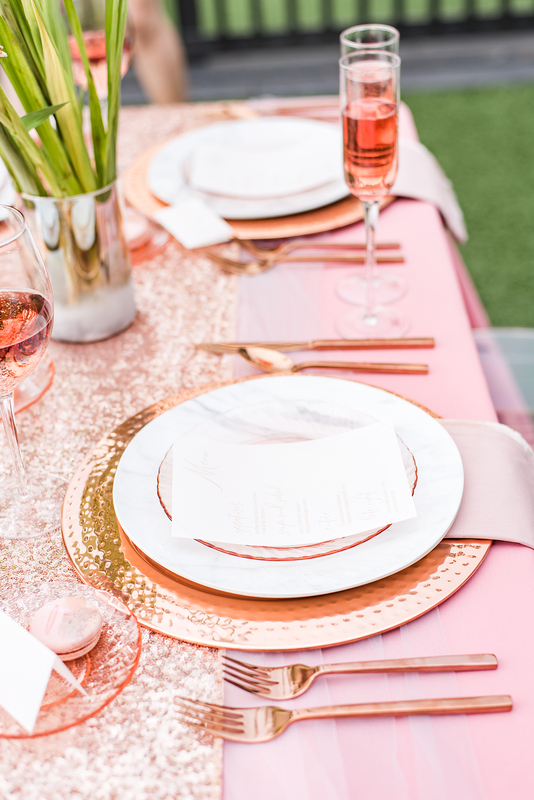 Layering tones and textures for the table decor created a statement! 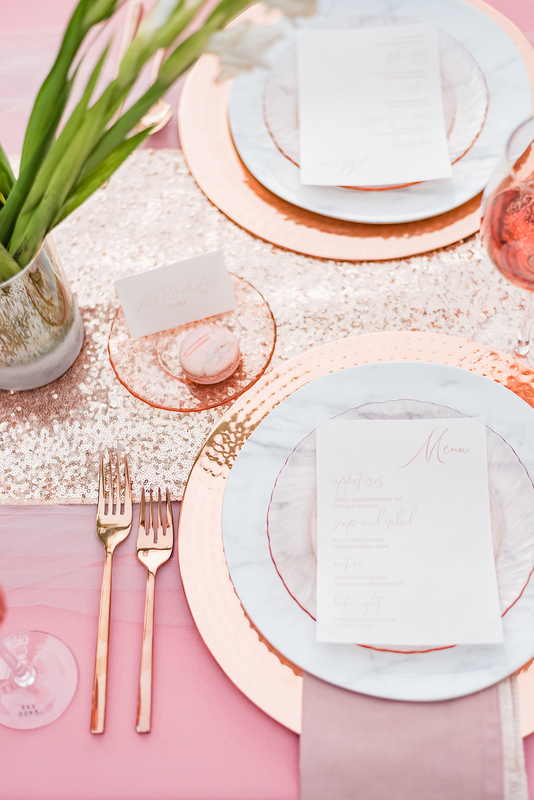 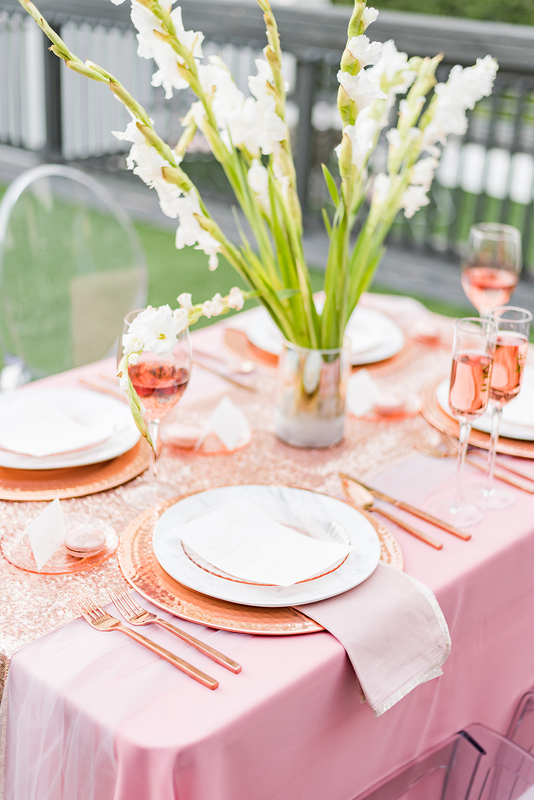 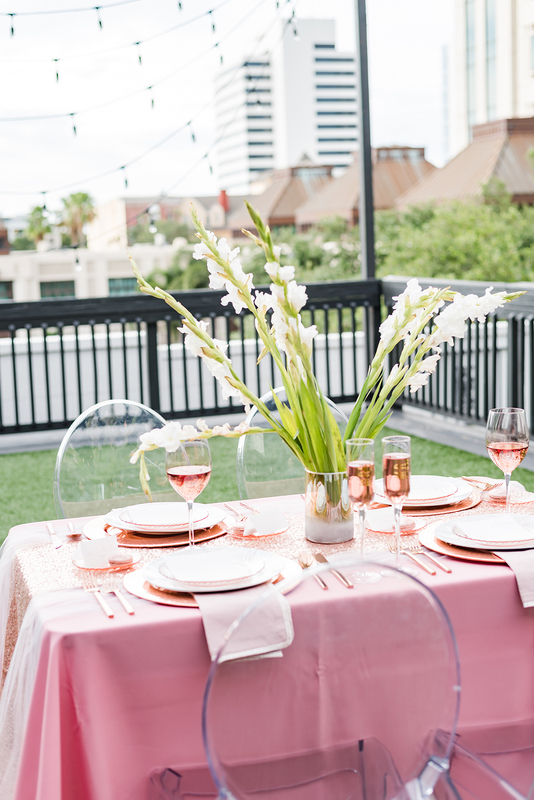 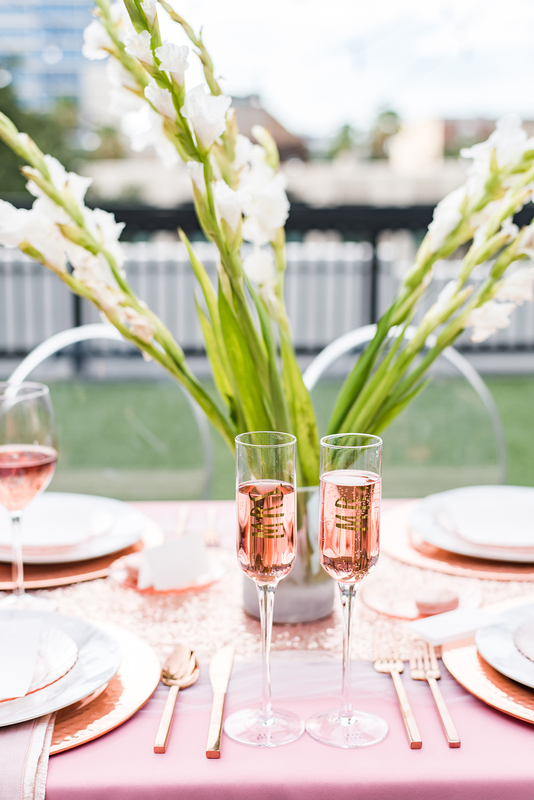 Using pink linens with rose gold sequin runners, along with rose gold chargers and contemporary copper cutlery. 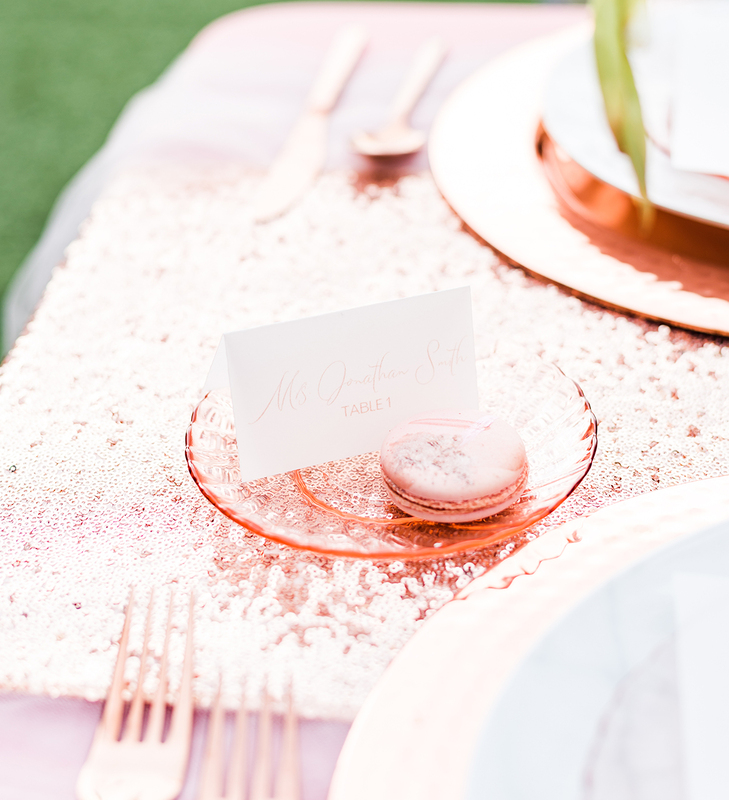 The hints of white from marble plates to flowers really help this colour mix shine and isn’t it a fun look for Summer weddings too! 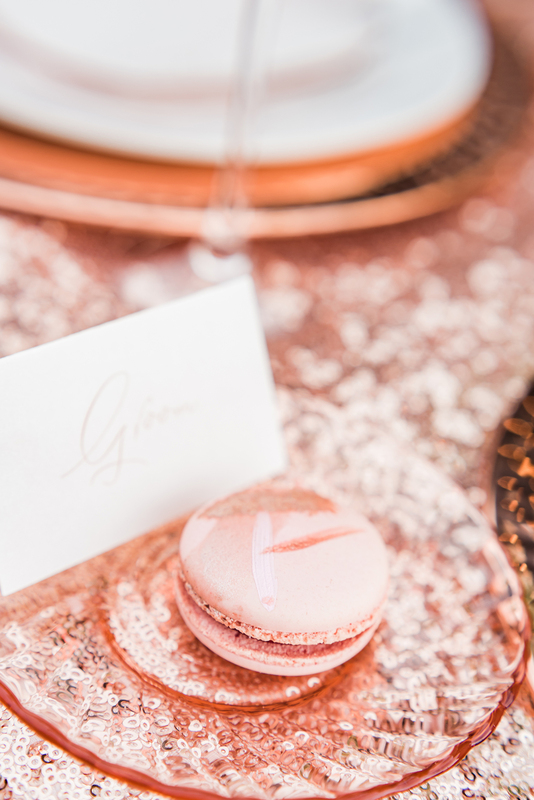 We love the sweet pink macrons with gold brush strokes by Sweet Miss V’s along with the fabulous wedding cake covered in hexagon shapes and displayed on a rose gold geometric stand!